Familia Zucardi have been at the forefront of Argentinean wine since Alberto Zuccardi planted a vineyard in Mendoza in 1963. He planted the vineyard to show the fruit producers of the region his own irrigation system. in 1976 Jose Alberto son of Alberto joined the family company which now boasted a considerable amount of land under vine and a winery. Jose Alberto developed wines under the Santa Julia Label which would appeal to an international audience, and was one of the first Argentinean wines which established the category in Europe and north America. During the 1990, Jose alberto developed the Zucardi range. He belived that Argentina could compete with other leading producing countries in term sof qulaity. Starting with Zuccardi Q Tempranillo the wine was a first in beacuse of the quality and the "premiumness". The range was expanded to include MAlbec, Chardonnay and Cabernet Sauvignon. 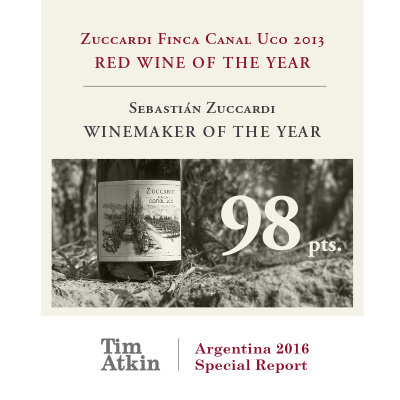 In 2000 Sebastian Zuccardi, son of Jose Alberto took over the family estates in the Uco Valley. Sebastian has strong determination to explore Argentina´s many micro-climate and soils. 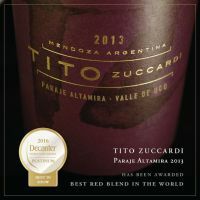 He is responsible fo the The ZUCCARDI range of wines, and they express the essence of the soil, the high altitude vineyards and the extreme conditions where are planted. 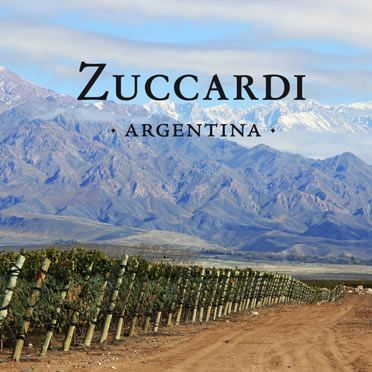 Zuccardi have vineyard in the Uco Valley high in the Andes and in the valley close to Mendoza. The Zucardi Wines are from the UCo Valley while the Santa Julia wines are premdominately from the Santa Roas estates near Mendoza city.